The building is a corner anchor. Frontier Property Management purchased the 24-unit apartment building in Southwest Garden to renew its historic charm while making long-deferred repairs and improvements. Working with architects at Levine Associates and the Preservation Research Office, Frontier developed plans for modifying layouts to create 18 modern urban apartments. 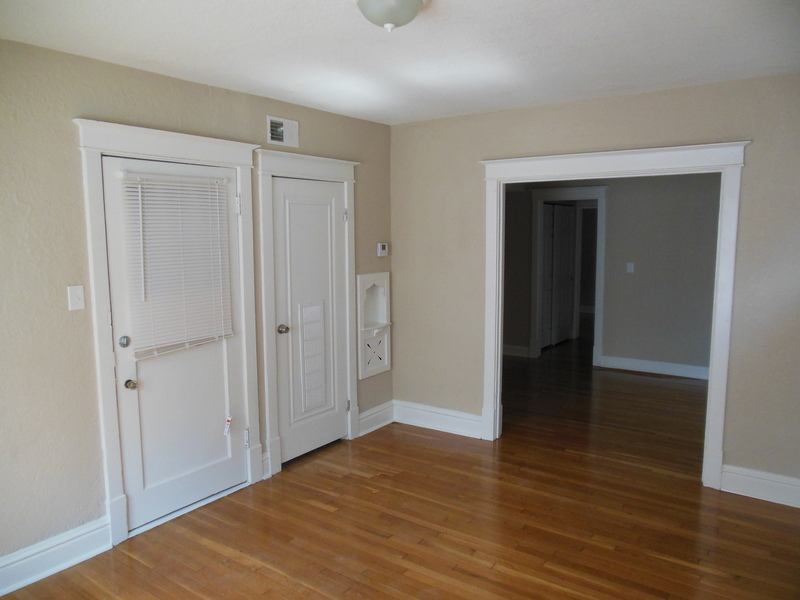 The $600,000 project included new systems, modern kitchens and bathrooms and restoration of hundreds of square feet of beautiful hardwood floors. The project marked only the second historic tax credit application in the new Shaw’s Garden Historic District, a National Register of Historic Places district designated in 2012 after a nomination prepared by the Preservation Research Office. A typical unit prior to rehabilitation. 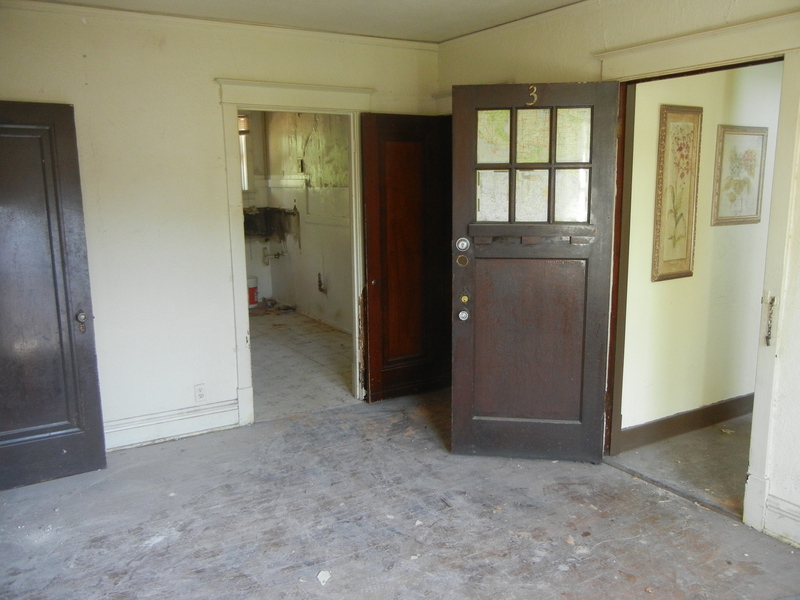 Preservation Research Office prepared the join state and federal historic tax credit application, and conducted all documentation of the as-built and after-rehabilitation conditions. In the end, one key decision was the retention of the lancet-arch telephone niches in the living rooms, a historic detail that provides a clue to the building’s stature when built. Personal telephones, not yet commonplace, were a sign of middle-class life in 1929. 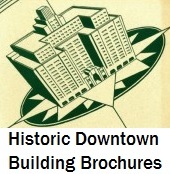 The building thus would have been first built for professionals attracted to the new neighborhood for its streetcar access to offices downtown and around the city. A typical living room after renovation. The four-story apartment building at 2051 Maury Avenue is part of the fulfillment of the significant development of a middle-class residential suburb around the Missouri Botanical Garden. Built in 1929 and designed by C. Etz, the Tudor Revival building was developed by builder-developer Liebowitz Construction Co. 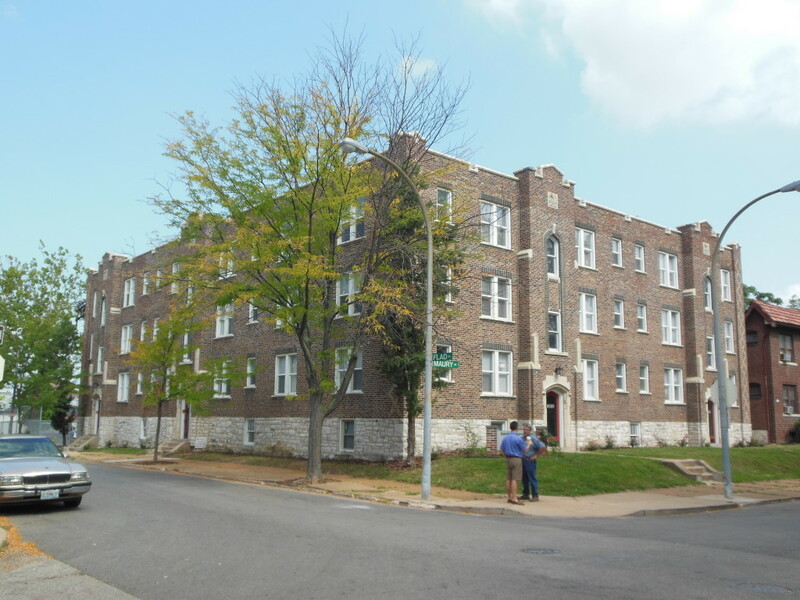 The Shaw’s Garden Historic District is located in the southwest part of the city of St. Louis, Missouri and is locally significant for its role in advancing community planning. Multiple dwellings compose the majority of building stock in the District, making this apartment building an exemplary resource. The District represents the fulfillment of the desire of the Missouri Botanical Garden under Director George T. Moore to improve its surroundings through subdivision of property bequeathed to the Garden in the will of Henry Shaw, and the clear vision of suburban development advanced by the Garden’s long-time landscape architect John Noyes. The resulting landscape is a rare realization within the city limits of progressive suburban planning ideals implemented in contemporary landscapes in St. Louis County. In 1923, the Garden platted the Shaw’s Garden Subdivision to the west of Alfred Avenue, which created a harmonious and carefully-designed residential enclave that utilized deed restrictions to mandate its character. Following this addition, two parts of the Tower Grove Addition were re-subdivided as private residential courts.